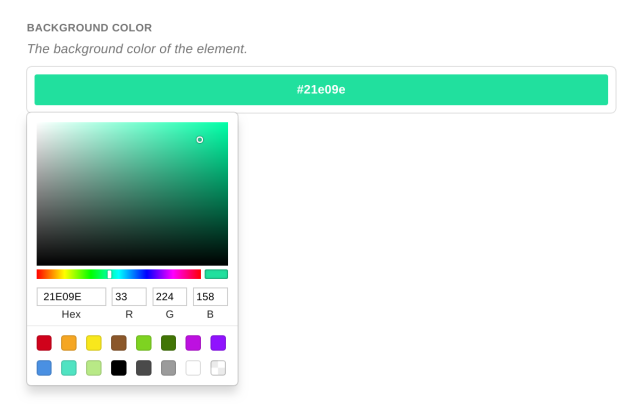 The color picker provides an interface for selecting a color and storing the RGB or hex value. Color Format — Whether to save the RGB or hex value of the selected color. Default — supply a default color value. Use safeHTMLAttr when inserting values into HTML attributes. description: The background color of the element.